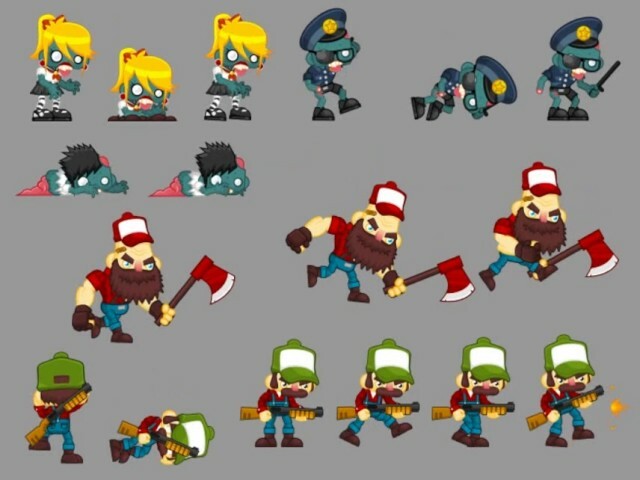 This is a collection of various character spritesheets for creating a 2D action platformer or side-scroller game. This is especially good for games with zombie, horror, Halloween, mystery, or ghost themes. 2 rednecks and 3 zombies. All are animated. 100% vector-based, available in CorelDraw .CDR, Adobe Illustrator .AI, and .EPS format.